Happy Face fires a deadly laser of ultimate happiness at the fore. If you are having a good day, plus 30 damage. 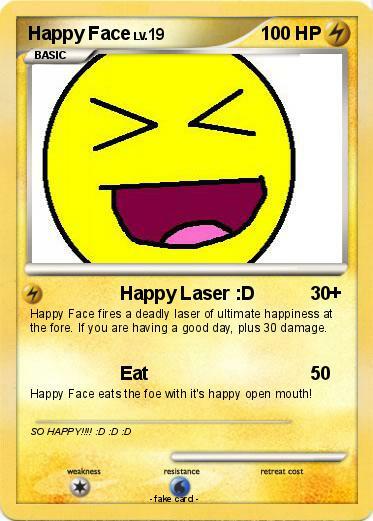 Happy Face eats the foe with it's happy open mouth!